Smoothies can be great breakfast substitutes if you are following a low calorie diet. Not only are they filling but also are supremely healthy because they have no added sugar and are high in fiber. I do a combination of fruit and vegetable smoothies, taste is very important to me, I promise everything I share here will be delicious. 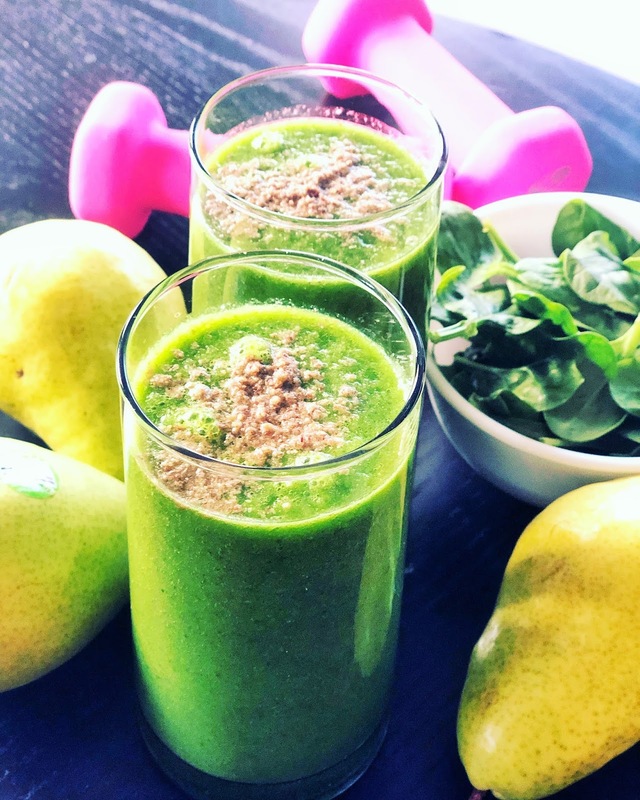 Blend together pears and spinach with water and ice, pour in glasses, sprinkle Flaxseed on the top and enjoy your healthy smoothie.